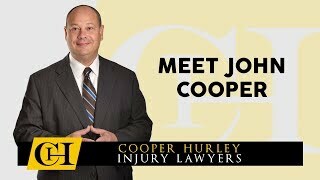 John Cooper is a veteran of personal injury law practice in Virginia. A native Virginian, he was raised in Norfolk and Virginia Beach. He has more than 30 years of experience handling personal injury cases and recently handled the largest auto accident settlement in 2010, according to VA Lawyers Weekly. The award provided $3.5 million to a child whose young father died when the vehicle he was a passenger in was rear-ended by a careless truck driver.